To which gardenhistorygirl replies, “When has topiary ever NOT been a garden trend?” and thinks of Gog and Magog. 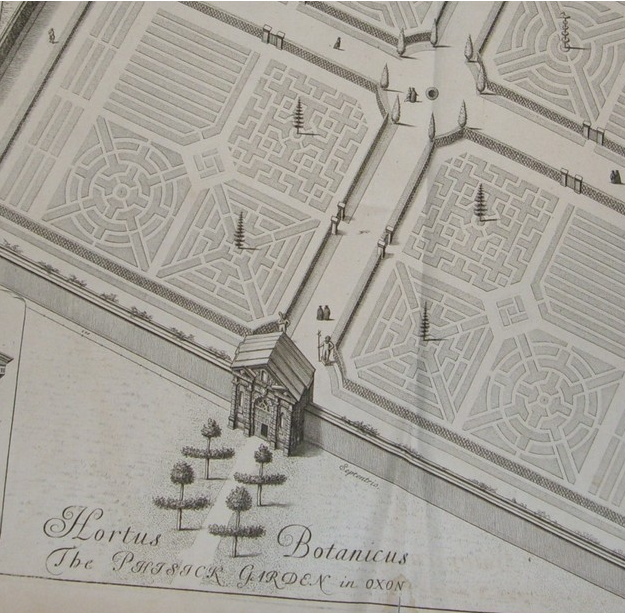 Above is a 1675 engraving of the Oxford Physic Garden by David Loggan. And below is a zoom of the area just behind the lower gates. Oh, for a higher resolution image, but do you see them standing there? The fearsome guardians of all things botanic? 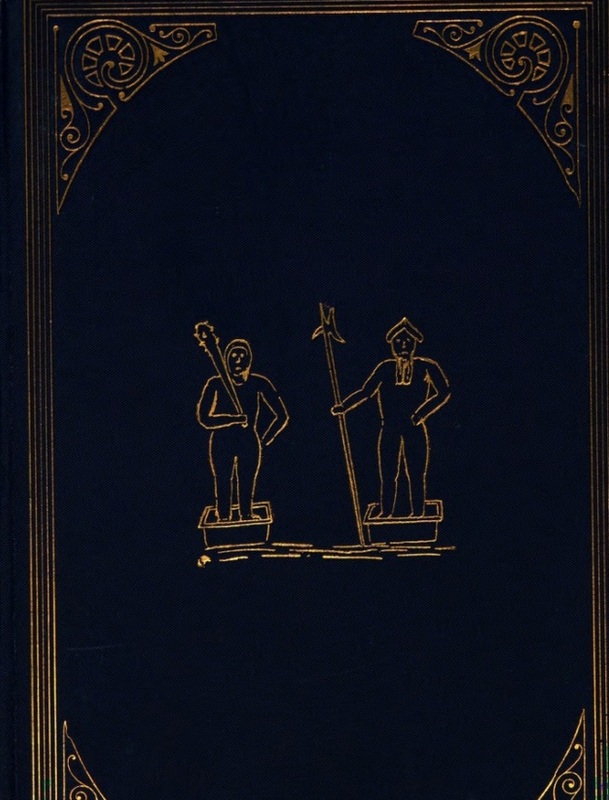 Gog and Magog. Aka Antagonists of the Revelations, namesakes of the hills outside Cambridge, and guardians of the City of London, the Oxford Physic Garden version of Gog and Magog were clip't in yew--the creation of caretaker Jacob Bobart the elder (1599-1680) who was also wont to dye his beard silver to amuse garden visitors. Best. Head Gardener. Ever. Tales of Bobart can be found in R.T. Gunther and C. Daubeny, Oxford Gardens. 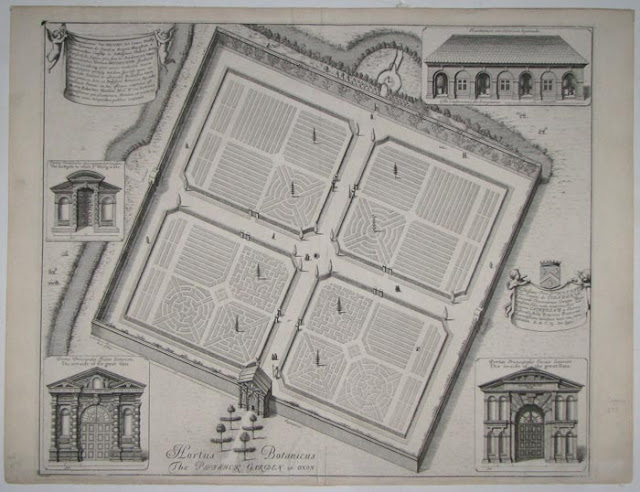 Based Upon Daubeny's Popular Guide to the Physick Garden of Oxford: With Notes on the Gardens of the Colleges and on the University Park (Parker, 1912), which immortalizes a 1683 sketch of Gog and Magog on its cover, and is online in its entirety at openlibrary.org (the digitized copy is from the library of Beatrix Farrand, and signed by her, which is also fun). ‘Poem upon Mr. Jacob Bobards Yew-man of the Guards to the Physic Garden, to the tune of the ‘Counter-Scuffle’ (by Edmund Gayton, Oxon. 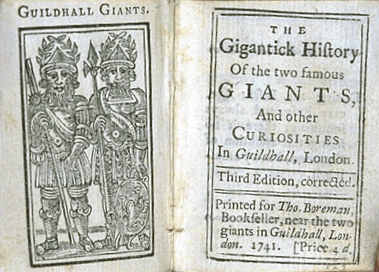 1662), 'Upon the most hopefull and everyflourishing Sprouts of Valour, the indefatigable Centrys of the Physick Garden" (by John Drope, M.A.) and my person fave: ‘A Ballad on the Gyants in the Physic Garden in Oxon, who have been breeding Feet as long as Garagantua was Teeth". Excerpted below for your topiary dreams, as preserved in Pack of Autolycus (Hyder Edward Rollins, 1927). Milton it is not. What is our Oxford Africa? Medieval gardening did not have topiary as a trend. The estrade/layer cake topiary is shown, but it is rarely a major feature.This type of topiary appears to be a later medieval feature too,but as yet I am still not able to fix a date for when it first appears. Of course, once we reach the renaissance, topiary spurts up all over the place and never really dies out again.In the UK I remember that there was an anti-topiary back-lash late 1980's early 1990's. I just love your blog - full of weird and wonderful information.